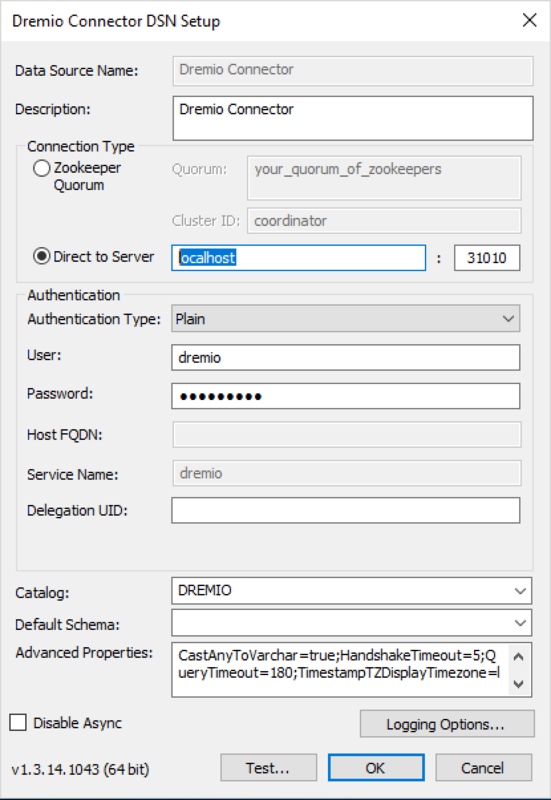 Install Dremio Connector 64-bit for Business Objects servers and 32-bit for client tools. 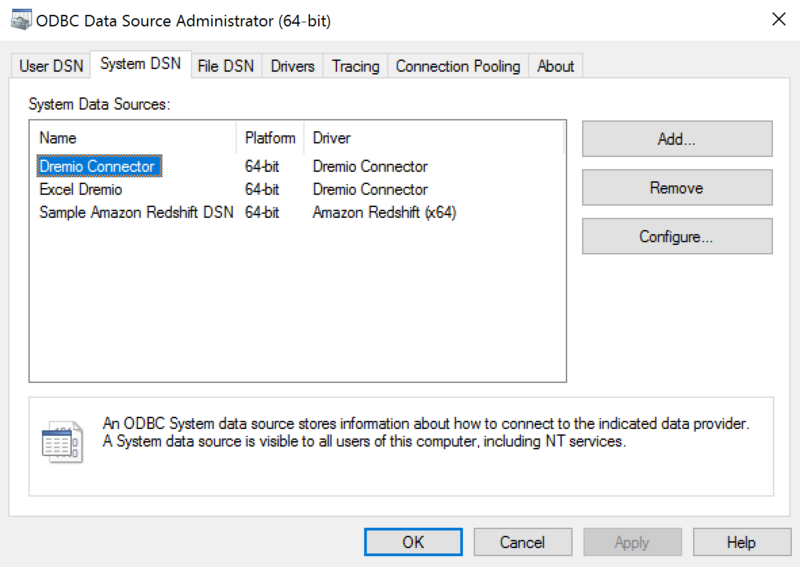 Run the ODBC Data Sources (both 64-bit and 32-bit) Windows application. Both 32-bit and 64-bit DSNs should be configured with the same name, configuration and additional parameters. Open Information Design Tool and a new project. 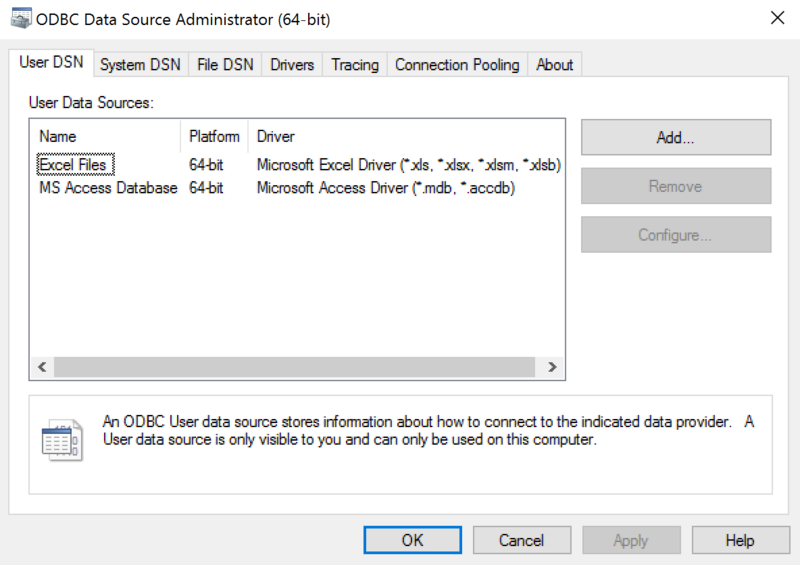 Create a new Relational Connection using the Generic ODBC3 datasource driver. Select the Dremio Connector DSN and test the connection. Dremio schemas and tables are now available. In Information Design Tool, publish the Dremio connection to a repository. Create a new Data Foundation. Create a new Business Layer. Publish the universe to a repository. Open a web browser, go to Web Intelligence tool and select the published universe. Your Dremio dataset is ready to be used in Web Intelligence.